Software from Glames is around us for some years. Boing Attitude is responsible for education/games software like: Ask Me Up and great file manager Dir Me Up. 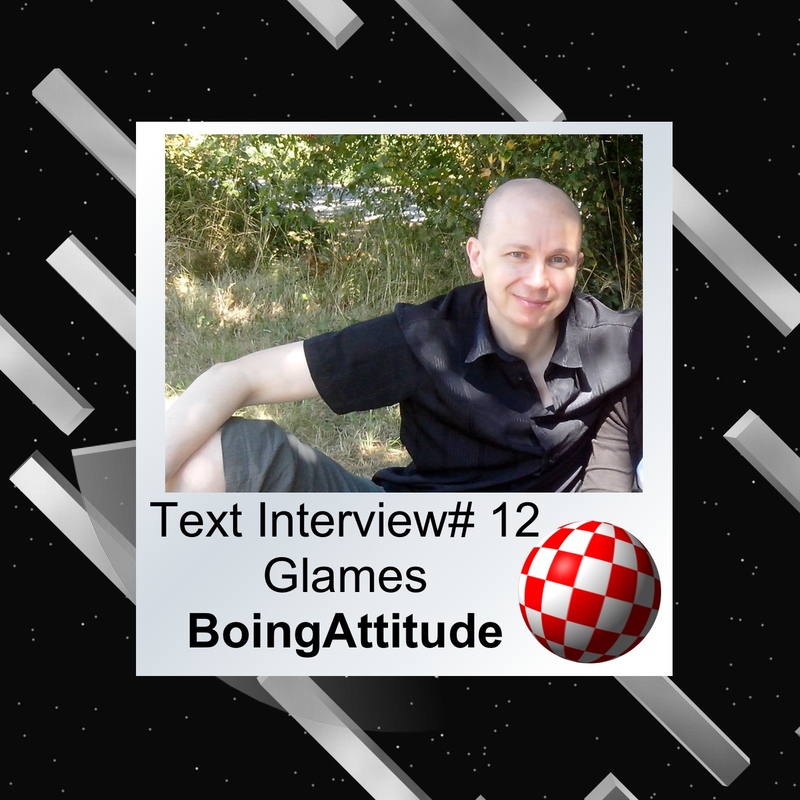 Besides of Amiga, Boing Attitude is creating apps for another system like MS Windows or Android. 1. Let's start off with an introduction: please describe your first ever contact with a home computer. Was it Amiga or any other machine? Hello! Well, that wasn't an Amiga but a Thomson MO5 (https://en.wikipedia.org/wiki/Thomson_MO5), a home computer introduced in France in 1984. I'm not sure it's well-known worldwide. It was released to compete against ZX Spectrum and Commodore 64. I remember I played "L'aigle d'or", an action-adventure game. My parents then bought me an Amstrad CPC 464 (tape deck included!). 2. What was the configuration of your first Amiga? Were there any other models to follow on? I bought a second-hand Amiga by 1988: it was a standard Amiga 500, but with the 512 ko/clock expansion. :) The first game I played was "Prince of Persia". I was then amazed by the quality of graphics, sounds, and animation. Some friends of mine also bought some Amiga so we decided to buy a NULL-modem cable to connect several computers... It was REALLY great and I still think from time to time to these Skidmarks, Lemmings, Vroom, Populous, Stunt car racer... connected games. I then bought an Amiga 1200 with a 68030 Blizzard. It was around that time that I learned AMOS and started to code. Now, the only classic machine is an Amiga 1200, 68060 powered, with an Ateo32 graphical card. I use it mainly to play "The Settlers" these days: it's one of my favorite games! 3. How did your adventure with Next Generation systems start? It looks like you are using AmigaOS 4 and MorphOS systems. What about AROS? It was in 2003: I wanted to do more for my favorite computer. There was the Earlybird offer from Eyetech, so I bought an AmigaOne XE G4. At first, it was a bit frustrating as there wasn't any AmigaOS4 (but Linux). But, it wasn't too long as I could get it in early 2004. At the same time, I was one of the few Amiga-Anywhere third-party developers and I released "Word Me Up" on Pocket PC and Windows phones. But I was never paid by Amiga Inc for the (few) sales I did, so I decided to focus on AmigaOS 4 from 2007. 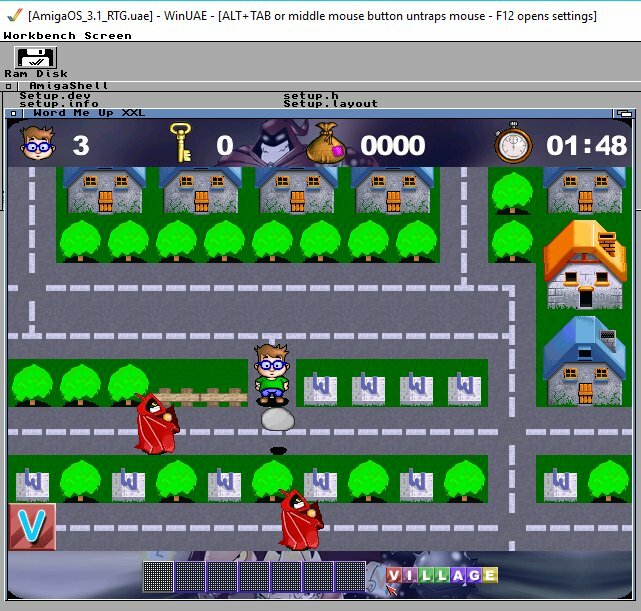 I released my first game on AmigaOS 4, Word Me Up XXL, then bought a second-hand MacMini to port my software to MorphOS. I tried AROS a few times, even asked if anybody was interested in a WordMeUp XXL port but the number of amigans that answered was too weak. Nowadays, I use daily The Red One F (Sam440F) that is my main computer. The AmigaOne XE is still alive and kicking but I use it mainly for backup and beta-tests. I use my MorphOS MacMini only when I need to port a game or application. I don't have any AROS computer. 4. Please tell us something about your work and how did you actually start the Ask Me Up and Word Me Up? It's all started with a (French) soccer TV show ("Jour de foot"). The main idea of Word Me Up came to my mind in front of my TV: the player should pick up letters in a maze to build words. I still don't know what's the relation between soccer and words :) I always have a notepad to note every idea, even the craziest one! So I immediately wrote all that I could about it. I then created a proper functional analysis with all details required to start devs: background story, rules, user input, screen mock-ups, screens sequence, ... I choose C language to code for AmigaOS 4. Basically, I used NotePad to edit my code and SDK GCC to compile and build an executable. Yes, it was a bit rustic ;) but quite reliable. Aito, a friend of mine designed the splash screen and characters portraits. I designed by myself the remaining graphical art, mainly tiles, and sprites. It was a huge (but really interesting) job as there are 15 totally different graphical themes and 64 levels in the game. I also designed the levels and I'm very happy with the smooth difficulty progression. I then looked for a musician and I found Anders "Boray" Persson (http://boray.bandcamp.com/) who initially used his Amiga to compose music. When the game was released, some Amigans proposed me to localize it: Word Me Up is now available in 11 languages! Regarding Ask Me Up, the idea came when playing Buzz! with friends on PlayStation 3. I quickly thought it would be great to make a multi-player quiz on Amiga. So, you know the process now: notepad, analysis, ... The funny detail is that I started entering questions three years before the beginning of the development. Every opportunity was good to create new questions: talks, reading, TV, newspaper, ... I quickly created a Windows tool to enter questions and build them in ANSI or UTF8 files. The coding was (is) done in C, with StormCEd (from Alinea Computers) and the SDK GCC. Ask Me Up XXL is a general knowledge quiz with numerous game modes and more than 1700 questions. The principle is quite simple: 1 question, 4 possible answers ... Choose the right one :) Questions are in the form of text, images or slides. You can play up to SIX players at the same time (two players with keyboard and four with joypads/joysticks)! Many translators helped to make it international: it's available in French, English, Italian, German (88% translated), Spanish, Swedish, Polish (45%), Portuguese (92%) and Greek (83%). As usual, Aito drew the splash screen and avatars. I did 99% of the questions. 5. Your games are available for AmigaOS 4, Linux, macOS, MorphOS, MS Windows. How is it possible to cover all platforms? First, you need time and motivation. :) You also need to use a high level and modular coding. I mean, I created my own low-level modules (playSound, displayPicture, ...) that are called by my high-level software/games. That way, software frees from OS dependences. The main architecture is basically the same on every computer. You "only" have to port the low-level modules from one operating system to another. Then choosing an easily portable programming language is a good idea too. I use C. Word Me Up XXL itself was native and system friendly C on AmigaOS4/MorphOS and C SDL OpenGL for MS Windows, macOS, and Linux. The port from AmigaOS 4 to MorphOS is in general quite easy. Well, it depends if you have to switch from a GUI to another one, for example from ReAction to MUI. 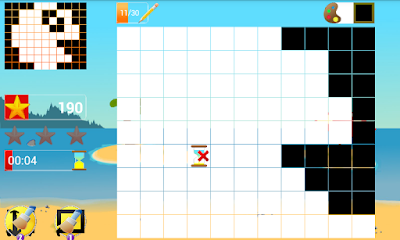 Word Me Up XXL has an external tool to set up the game that uses a ReAction GUI. I had to convert it to MUI for MorphOS and to wxWidgets for MS Windows, macOS, and Linux. It took me much time. But I learned from my mistakes and Ask Me Up XXL has no external GUI. It saved me a lot of time. But I'd like to learn new languages. That's why the MS Windows release of my quiz was done in PureBasic (http://www.purebasic.com/index.php). Please note that development is one thing but beta-testing is another thing. For example, Ask Me Up XXL is translated into 8 languages and you need to test all of them on every OS... Very time-consuming! 6. How does your workshop look like? Your environment features cross-platform development. Is Amiga your main developer machine? What language do you use? Regarding development for computers, my workshop is very simple. My AmigaOS 4 unit (Sam440F) is my main machine. I use StormCEd to edit my code, and GCC to compile and build binaries via a CLI window. Once I've finished the AmigaOS 4 version, I switch on my MacMini to port it to MorphOS. Then my PC for Windows/Linux ports and another MacMini if a MacOS port is planned. I use mainly C for developments on computers, along sometimes with SDL and OpenGL on non-Amiga platforms. But, as I said previously, I also use PureBasic for Ask Me Up XXL Windows version. I don't use cross-platform tools except for AmigaOS 3 binaries: I use AmiDevCpp to compile and build them then WinUAE and/or my Amiga 1200 to run it. Regarding development for phones and tabs, I use a Windows 10 PC. I code in Windev Mobile, an integrated software for developing mobile applications, and Java. Once the apk file is built, I have a few tablets and phones to run and test my software/games. 7. In my opinion, Hollywood is "our future. It's platform independent and already quite mature. It would be very useful for creating software for almost any platform. 8. Do you personally perform all the works or you have a team behind projects? What about beta testers? 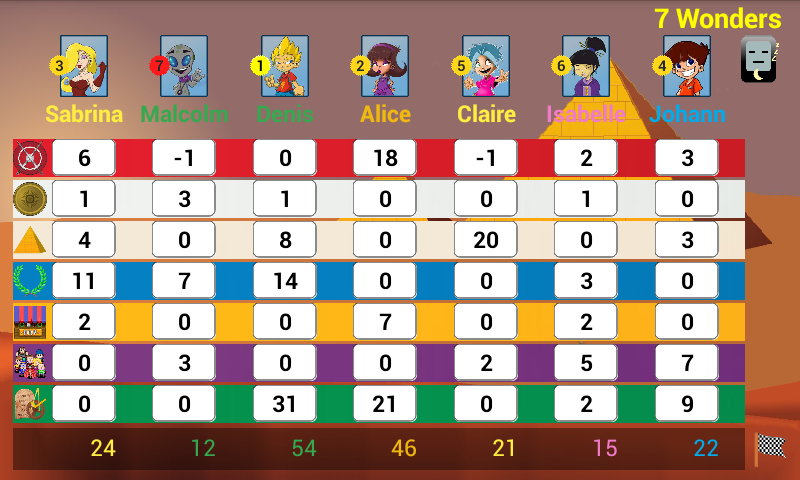 Well, There's no team. 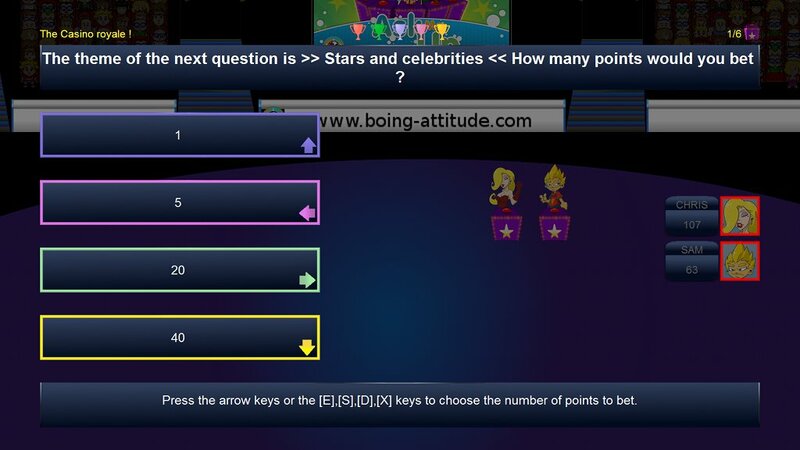 I'm the only member of Boing Attitude. Hopefully, I'm helped by friends or Amigans. A friend, Aito, draws all splash screen, avatars portraits, ... Well, everything that I can't draw by myself (as I'm not a professional drawer). It's really great as the splash screen often defines the global visual design of the game/software. Regarding music, I always ask and pay for external help. Over the years, some Amigans helped me with translations. Some of them also do beta-testing. I really appreciated their help! I don't want to give names as they are many but you can visit official pages and click "team" item to know who has helped. I do the remaining part (coding, in-game drawings, sound effects, public relations, communication ...). 9. Could Amiga developers potentially make some money releasing software for all systems? Well, it's difficult for me to answer as I "only" sell for Amiga NG systems. But I'd say... No, :( at least for me. Of course, you earn money with sales but if you compare to the spent time, it's definitively no. Boing Attitude is a real firm (now ten years old! ): when I work on Amiga projects, I do it during the day. That means that I don't do anything else. So let's take the case of Dir Me Up, that is one of my best-sellers (with Word Me Up XXL): let's say that one-hour costs 10 euros (a little more than the minimum wage here in France). If I count all incomes from sales minus the time spent, it costs me 13 000 euros: yes, you read it right. It cost me money. In 2017, I coded on Dir Me Up during 4 months on a full-time basis. So I had no other incomes than my sales during this period. That's why it really costs money: if I had instead worked for service delivery to other firms, I would have earned a few more bucks! Of course, money is not all and Amiga is for me a real passion and I love coding on it. I hope to release some of my software on classic Amiga, so maybe it'll be better in the future. People should really support coders by buying their products because they spend a lot of time on it. 10. What about mobile platforms? I see you are supporting Android, do you plan to support iOS? Yes, I decided a few years ago to also develop for mobile platforms and to support only Android for many reasons. First because lack of time, I can't publish for all platforms. Even if Windev Mobile allows to build iOS and Windows phones binaries, you have to test, sell, promote them, ... And It's very time-consuming. I also don't like the Apple policy regarding developers (and users). You have to pay each year, even if you don't sell any games/software. And you must always have to the latest Xcode, so in the end, the lastest Mac. Finally, Android dominates the market with shares growing and consistently above 70%. The mobile market is a huge one but with many competitors. So it's very hard to gain exposure. Moreover, the business plan is very different from computers area as there are many free applications. Selling price is very low, and you have to give Google share plus VAT. In my opinion, The best method today is to publish free apps that users can upgrade to Premium by paying it. More generally, InApp purchases. Adverts don't bring many incomes, except you have thousands of users. Our latest products, Scores Me Up and Pix Me Up, is free and users can upgrade them by purchasing Premium versions. But you have to sell a lot! For now, that's not the case for me. That's why I work in service delivery as project manager, analyst or developer too. Otherwise, Boing Attitude wouldn't be financially viable. My software/games sales are about 5% of my total incomes. 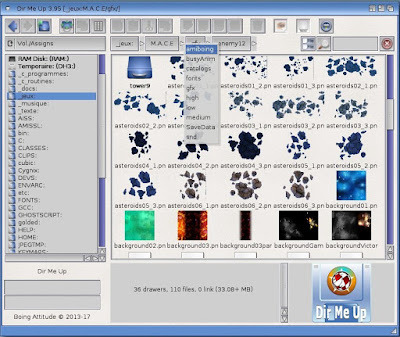 Yes, Dir Me Up is another file manager, but quite different from the good old ones like DOpus or FileMaster. In fact, it's more an explorer than a file manager, strictly speaking, like Windows Explorer, macOS Finder, ... that exist on non-Amiga Platforms. Back in 2013, I've had enough of having to open a drawing tool to know width/height of a picture. It was the main idea: do easily and quickly all things that you can do on non-Amiga systems. And four years later, I'm really pleased with the result, even if it can still be improved. With Dir Me Up, you can quickly and easily browse the content from your hard drives, USB sticks or CDs with advanced features: browsing history, clickable paths, multiple sorts, filters and previews (image, icons, text, volumes, drawers). The icon/thumbnail view is also there to get a visual overview of your drawers. The software is highly customizable: you can choose the buttons you want, their size, add up to 5 fully customizable buttons, select the graphical theme. You can also enable or disable the different panels (preview, location, buttons, ...). You can handle one or several files in one shot! I mean you can run, view, cut, copy, paste, rename, comment, set attributes, ... And even code your own programs and run them on selected elements. There's also a Fast, multi-criteria, saveable search and you can browse archive content. Of course, you can choose to click icons, use a contextual menu or press the keyboard shortcuts. You can also connect Dir Me Up with the best existing software on Amiga OS 4: video, music, internet are all pleasures you can enjoy by a double-click. There are so many features that I can't speak about all of them. Maybe this one: two progress bars during processes with the speed and remaining time displayed. Oh yeah! :) All I can say is that I use Dir Me Up daily (as numerous amigans). That's why I regularly update it. The next big step is update 4. Update 5 is already planned too. :) The available demo (as documentation) is a bit outdated. It'll be updated with Dir Me Up 4 release. 12. Dir Me Up is quite cool. You are really working hard on it. At least one time in a month you are providing updates for a user. Personally, I like Filer on AmigaOS 4. Do you plan to add something like "copy between" listers (windows)? 13. How looks like "sell" comparing Amiga platforms and mainstream? The market for commercial software for Amiga is almost not available. The Amiga market is tiny but you have a big exposure. You only have to post news on social networks, few Amiga websites to make at least 70% of the Amiga community aware of your products. Then you can get in touch Amiga Future for an article. Of course, there are also some other websites of course, like yours, Amiga Blogs, Youtube channels, fanzines... It's quite easy. Moreover, Amigans are rather militant and buy your products, even several time to support their development. The Android market is quite huge... But you have a very low exposure. Why? Because your products are displayed among 3 million others on the Google Play Store. Also because there are few best-sellers (Candy Crush, Clash of Clan, Clash Royal, ...) that are very time-consuming. So people don't have so much time to try new applications. So you have to invest in marketing, adverts campaigns, work on communication and sponsoring. ... to gain exposure. But it costs money, much money. Boing Attitude doesn't have so much money to put in communication budget. So I decided to focus now on particular sub-markets. For example, Scores Me Up is intended for people that like playing board games, card or dice games. So it begins to be more and more popular, but is not financially viable in itself, at least for now. I thus earn more money with Amiga market than Android one. When I sell an Amiga product, I earn around 15 euros in average but when I sell an Android product, I earn only one euro! So the Android market has a wonderful potential of sales, but you have to "gather" many users (more than 10 000 IMO) to make it interesting financially, particularly if you have only one or two products available. 14. What are your plans for future development? Would Amiga always be in the center? Or you will be more focused on the Android market, with Scores Me Up, Pix Me Up, Ask Me Up? In 2018, I'll focus on both markets. I'd like to improve Dir Me Up and Scores Me Up yet again. As I previously said, I'd like to implement an improved drag'n'drop system in Dir Me Up (for now, you can only drag from Workbench windows). I'd also like to add new files previews. Regarding Scores Me Up, I'd like to add new games like "Five Tribes", "Time's Up", ... If time permits, I'd also like to update Ask Me Up, port Pix Me Up to AmigaOS 4 and MorphOS. But time is limited: that's why I decided to stop MS Windows, Linux, and macOS ports. I didn't sell too many copies for these OSes anyway. So Amiga is still in the center, that's for sure. 15. What are you missing on Amiga platforms (tools, memory protection, etc.)? I don't miss anything regarding development. It's quite comfortable to develop on AmigaOS 4. I miss more 3rd-parties software like a fast web browser, a word processing. Of course, memory protection and other OS improvements would be great but it's more important that the compatibility is retained with AmigaOS 4.1 apps and games. For example, the A-EON's enhanced pack is a good idea but it broke in some way the compatibility of sound datatypes. And some Boing Attitude apps don't play sound anymore whereas they work perfectly well for many years. I complained several times about it with other coders. I hope they heard us. ;) I already invested much time in my apps and I'd like to not be forced to adapt them for 3rd-parties software. 16. Do you think there is still chance to keep AmigaOS, MorphOS, and AROS up to date? Lately, we can see there is a big slowdown, especially on MorphOS side. It'll be difficult. The main issue is that people are working on their free time. So they have to manage their day job, their private life than the improvement of our favorite OS, be it AmigaOS, MorphOS or AROS. Most of them work for free (or for very little money) and the work to be done is HUGE. So it's normal that after a time, people want to make a break to do other things. The only solution I see would be to really pay these people for this work but the market isn't big enough to recover the money that Hyperion, A-EON or others should give to support the development. So we need to find a billionaire who is passionate about the Amiga! :) More seriously, people will have to be patient but AmigaOS 4 and MorphOS are already very good today. We need more users, more software. So use your NG Amiga, spread the word of how good they are, draw on it, compose music on it, play games, buy apps and games. Amiga survives for many years now,: there's no reason to be afraid, except that we need new young users. Regarding AROS, I'm less confident as It seems that there isn't any leader that shows the way to follow. 17. Current Amiga market splits into 3x NG and 68k systems. This is less than perfect for developing new software that would run on all previously mentioned systems, for instance, MUI is different for AmigaOS and MorphOS, AROS has Zune. Maybe we should have one core team for MUI/Odyssey, etc., and then port software for the other three major systems? Yes, things would have been quite different in a perfect world with only one Amiga. But if I compare AmigaOS 4 APIs to MorphOS or AmigaOS 3 ones, they are more and more different. So I'm not very optimistic regarding this subject. 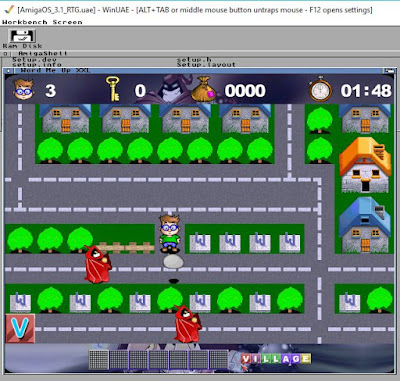 For now, I think the easiest way to port apps or games is to make it first for AmigaOS 3 with MUI (if a GUI is required), then to port it AmigaOS 4, MorphOS and AROS. This way, it could be done as fast as it can be. But of course, it isn't an ideal solution but AmigaOS 3 is the common skeleton. 18. Lack of time usually equals lack of software development. Let's take Odyssey - it's a great browser without major development in the last four years, and as we all know, an operating system without a good browser is nothing nowadays. Can you comment on it from the developer standpoint? As I said previously, you need time to develop an application. And because you need time, you need money. Because the time you spend coding, you don't earn money. So someone can be motivated at the beginning but after a few months (years), he needs to do other things in his free time: take care of his family, doing sports, ... The only solution I see is to pay people to allow them to work on Amiga projects on a full-time basis, and not during their free time. But the question is: where to find so much money? As a developer, I know that coding is very time-consuming. So I'm not surprised that such a huge project like Odyssey is not upgraded as we'd like. 19. A lot of Amiga users state that porting is not a preferred way for our future. Isn't it better to use QT and port modern software instead of developing everything from scratch? As far as I know, QT requires lots of power and memory. So, I'm more in the "native development" camp. I still try to make my applications as best as possible, in term of memory consumption, code optimization, smallest footprint,... But, to do that, you need native development and not a port. That said, it can be a temporary solution. For example, I use Abiword AmiCygnix to display Word docs on my Amiga. I'm very happy that it exists, even if we can't consider it as really native. So native way is my choice but we can't do without porting some missing software. 20. What Amiga could you advise for the newcomers? Classic, NG or emulation? It depends on the target. If newcomers are old Amiga users coming back, I'd say "classic" Amiga to wake up their Amiga addiction, ;) notably "Vampired" ones that bring new power. Then NG systems for those who want a more modern OS. If they are geeks who don't know Amiga, I'd say Amiga NG systems because geeks are ready to put much money in attractive but alternative computers. For remaining people, I guess it's emulation, to try our favorite system for (almost) no cost before buying a real one. 21. Classic Amiga still has the largest community, mostly driven by pure nostalgia. Your software is only for Amiga NG. Why? The last word to thank all people that support my numerous project over the years. You keep me motivated to release new updates or products in the coming years. Long life to Amiga! Don't forget to visit our home: http://www.boing-atitude.com :) If you want me to port some of my apps/games to MorphOS, AROS or AmigaOS 3, please let me know.